Discussion in 'Pin Zaps & Swaps' started by slbrabham, Feb 11, 2019. 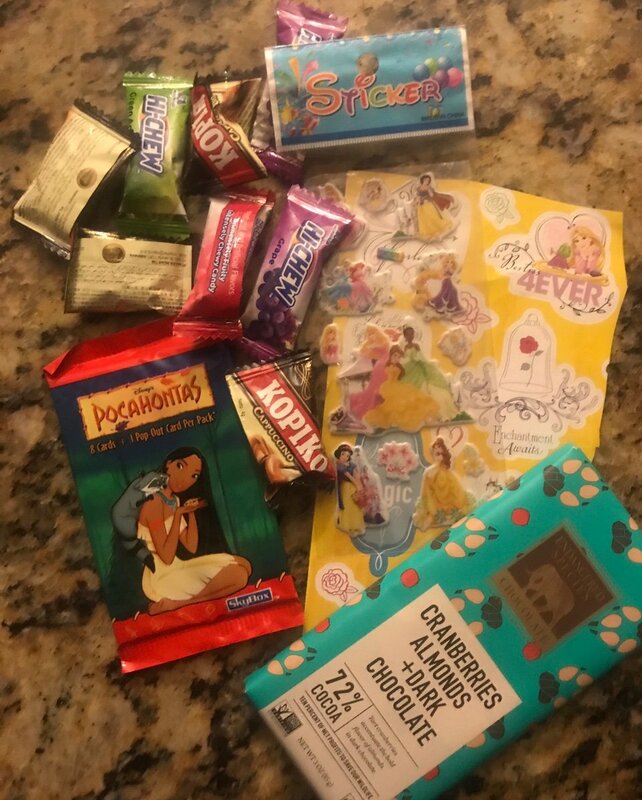 @summerskin was extremely generous when she mailed my PODM pins to me. 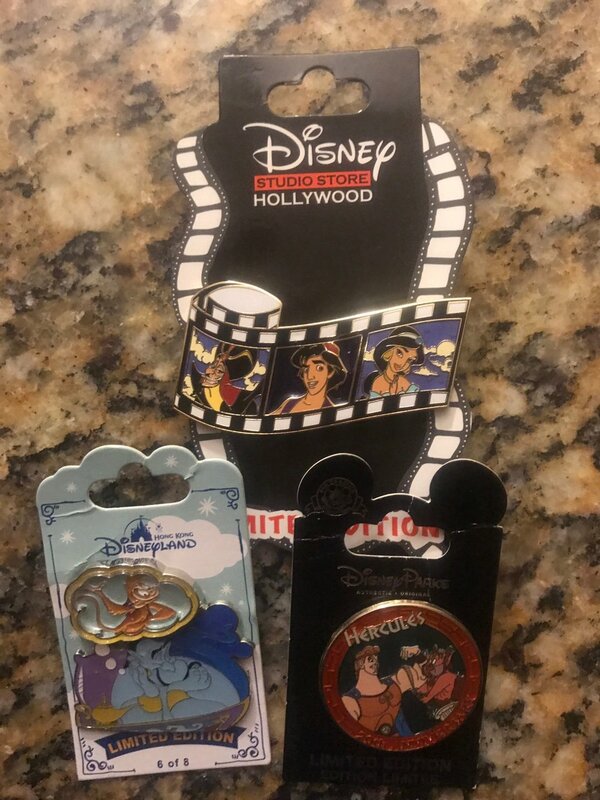 She zapped me two Aladdin pins and a Hercules anniversary pin that are great. Genie's expression is so sweet while he dreams as Abu looks so mischievous. Not only did she zap me three pins that had been on my wants, she added my favorite fruity candy. I luuuuvvvv Hi-Chew candies. (I stash a bag in my desk.). The chocolate bar looks yummy, and who doesn't like stickers - not me! The art cards are fabulous - slow dancing frogs make me smile. The journal is greatly appreciated as I am forever writing to do lists. Thanks you very much for this amazing package. PixiePost, watzshakinbacon, Booger1964 and 6 others like this. Congratulations! @summerskin is just overly sweet and generous. theoucharis and slbrabham like this. What an amazingly generous zap! Congrats! Wow. Great and generous zaps. Wow what an amzing zap, congrats!